Another busy month for our event and development teams here, with lots of fundraising events and one-off development projects happening over the last month. 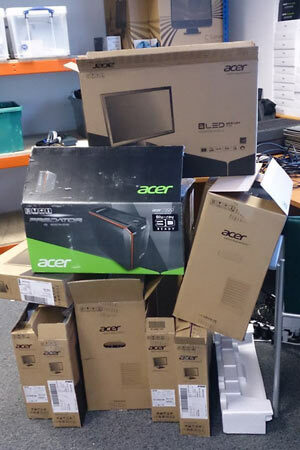 With the team expanding over the summer, it was also time to say goodbye to some of our elderly office gear and replace with some shiny new stuff… Christmas has come early! It’s going to be another hectic month ahead, with lots more fundraising events on the cards as well as some bespoke development projects overseas and some interactive iPad shows in between. The development team have also been working hard on bringing some new features on-board to the silent auction system. All will be revealed shortly, so watch this space! This entry was posted in Event Technologies News on October 29, 2013 by Joe.